RAVENS TERRACE: From McGuire’s Shop to Harvest Off Licence. Period of Closure: - Monday, 22nd April, 2019 from 11 am to 4 pm. - Monday, 3rd June, 2019 from 11 am to 4 pm..
Reason: To facilitate on-street entertainment provided by Galway’s Westend Traders Association – Westend Easter Street Feast and Westend June Street Feast. WILLIAM STREET WEST: From Blue Note Bar to Dentist, No. 12 William Street West. Period of Closure: - Friday, 31st May, 2019 from 8pm to 2am. - Monday, 5th August, 2019 from 8 pm to 2am. Diversion Routes: An alternative route is available going West via Munster Avenue via The Crane Bar. Advance diversion signage will be in place prior to event commencing. Reason: To facilitate on-street entertainment provided by Galway’s Westend Traders Association – Street Party. 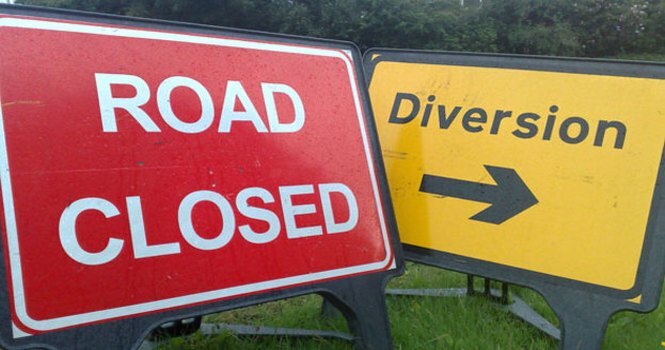 Alternative Routes: Alternative routes for traffic will be via signposted diversion routes. Period of Closures: - Friday, 26th July, 2019 from 8pm to 2am. - Saturday, 27th July, 2019 from 8pm to 2am. - Saturday,17th August, 2019 from 8pm to 2am. - Sunday, 18th August, 2019 from 2pm to 7pm. - Saturday, 26th October, 2019 from 6pm to 1am. - Sunday, 27th October, 2019 from 6pm to 1am. Going West: on Fairhill Road Upper. Going East: via Henry Street and Munster Avenue. Local access will be maintained at all times. Advance diversion signage will be in place. Galway City Council, Yeats College Annex, College Road, Galway.